Three concerts with Lorin you have to hear and see! 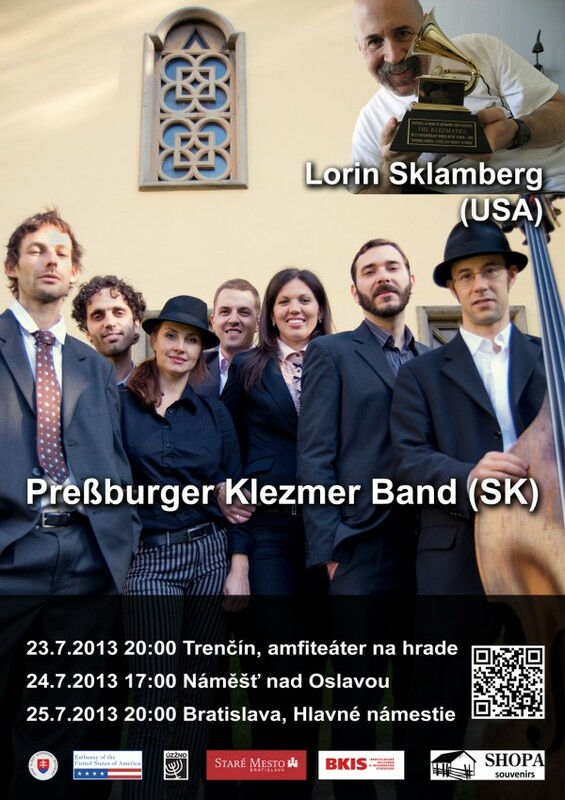 Don't miss unique opportunity of our concerts with singer of legendary klezmar band The Klezmatics – Lorin Sklamberg, also a Grammy winner. Lorin, who says he “sang before he spoke” and taught himself to play guitar, piano and autoharp, has been involved in the world of Jewish music since he was 15 years old, when he co-founded a band, Rimonim, with three Hebrew school classmates at his conservative shul in Alhambra, California. After being introduced to klezmer, Lorin began to seek out songs within the genre, but it wasn’t until after he moved to New York in the early ’80s that he was able to incorporate klezmer into the music he performed. Lorin can be heard on some 50 CDs, and also composes and performs for film, dance, stage and circus, produces recordings, and teaches and lectures from London and Paris to Kiev and St. Petersburg. By day he works as the Sound Archivist for the YIVO Institute for Jewish Research.